"A very versatile messaging CRM that's ahead of the game"
It's super efficient to be able to message leads in one app instead of logging in and out of different apps. The design of the lead panels is clean and concise. I can use amoCRM on the go with the mobile app, which is just as easy to use as the desktop version. To add contacts more quickly, I really appreciate amoCRM's very accurate business card reader. I can just take a photo of a business and have the contact information added to my account instantly. No need for typing. I also like amoCRM chat collaboration feature. amoCRM is mainly focused on text messaging, so it doesn't have as extensive capabilities as more open-ended CRM platforms. The cost, which is calculated per user, is probably not on the low end. So though it's not ridiculous, you could say the price would be something I dislike. I'd recommend amoCRM for those that like to communicate through messaging apps. It's a great way to stay connected and on top of all sales and contact data in a tidy and concise platform. I can react more quickly to inquiries and have a clearer outlook on sales pipelines. I have a more immediate understanding of the urgency of certain communications. amoCRM provides all the relevant sales data I need right at my fingertips. I can also share information and collaborate quickly with other team members so we can make informed decisions and have substantially higher chances at closing deals. I would like an application that runs on my PC instead of being tied to a web browser. It's not that bad, it's just that it can sometimes get lost in the piles of open windows. They do have the Notification feature to help with that, it's just that I think I'd prefer a Windows 10 App. I haven't looked at many CRMs, however, from what I have seen, amoCRM has a great price-point and some powerful features. Plus with all the integrations, I'm sure your needs will be met. I know mine are. I needed a way to track the sales process and stay on top of what needed to be done at the various stages. I used to lose projects because I didn't follow through on time or even worse, completely miss things that needed to be done. I now use amoCRM to help make sure that doesn't happen. "EL MEJOR DE TODO EL MUNDO"
Gestiono muchas cuentas para diferentes clientes. Puesto que no podemos elegir nuestras cuentas y se asignan a los clientes designados, necesitamos saber cómo tratar con la gente. Cada cliente es diferente y único, lo que significa que usted tiene que adaptarse a su estilo y necesidades. Confío realmente en amoCRM para obtener información de los clientes, utilizando las funciones de gestión de medios sociales y el seguimiento del progreso. Este software me permite lanzar una campaña y ganar leads. Este software me permite comunicarme eficazmente con mis clientes y me mantiene en buen camino con los pasos a seguir. Francamente, creo que el programa ofrece demasiadas características que pueden ser bastante confusas. No he probado todas las características porque sólo uso los que me ayudará en mi trabajo. Sin duda probarlo por ti mismo, gran programa! "Amo CRM Great for Small Business Tracking"
I like that you can input all customer information in, and sort the pipeline by different categories that are customizable. The calendar section for reminders is extremely valuable when timing out your follow up sales lead calls. Also, simplified enough for anyone to be able to use. If you hire a saleperson who does not utilize all functions and input data correctly, you will be missing essential information when they leave the company. So the software does require some monitoring and managing, however it is nice because it is open to customization. Call and talk with the company and look into videos on this CRM. Company was very helpful when we signed up and set this up. Keeping track of customer leads and follow ups that can lead to sales opportunity. Also, holding sales accountable in their daily acitivites. It's easy to use, and has amazing automations. It's so easy to sue that it's nearly completely automatic, this is hands down spectacular! The availability to download your data is only available to the top plan, I think it should be available to all. This CRM has provided a simple and easy to use solution for day-to-day sales and customer management. The other CRM that we had been using took too much time and so was not used properly. 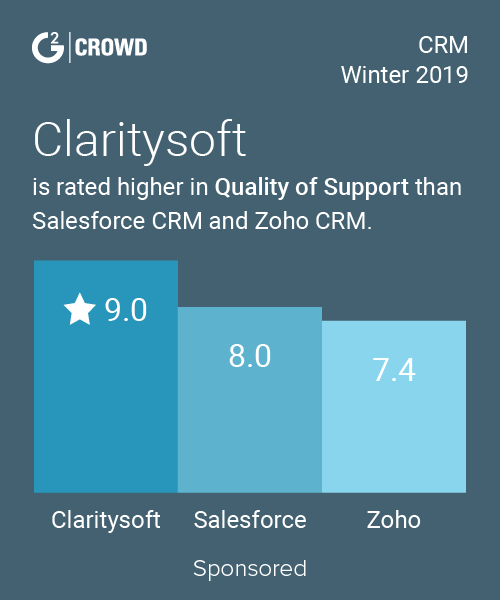 "amoCRM is a flexible sales tool"
Being still a relatively new CRM, it's not incredibly easy to integrate with other software and tools we're using but I'm sure this will change. I have a great experience in working with CRM systems. But i have to choose. amoCRM. amoCRM - convenient and low-price system, that allow you to increase you incomes. easier and better. Just try it! We could see activities of every sales manager in dept., could have information about our entire sales dept. Flexible settings, API - integration, built-in widgets - that all make your work process in amoCRM very convenient. I recommend to try amoCRM to everyone, who is interested in profit and business development. If you meet some troubles while using amoCRM, just call their customer service. Your problem will be solved in few hours. I am glad to work with multiple sales funnel , which gives us an analysis on the different areas of sales. In amoCRM i found something, that was not in the other - it is a combination of simplicity and convenience of interface and functionality. amoCRM system perfectly integrated with my IP telephone , email , website and landing page. Try it and you will feel the difference. What used to be difficult, it is now easier than ever. I can equally convenient control the sales teams in my branches and the central office. Information about each customer is in instant access. I see online how closer am i to the goal and I can always make adjustments. "Very good CRM for lead management"
Great API for customization and integration. Simple integration with telephony, sites, emails. Simple integration with other saas services and social networks. Not god for difficult and long in time (several months and more) sales. Small amount functions for customization in graphical interface. Best for lead management not for difficult and long in time (several months and more) sales. I prefer amoCRM to all other CRM systems for small and medium segments of business. This CRM system will be the most efficient for the sales dept, because it has some special functions: scheduler , integration with telephony, integration mail to the site. If you would like to personalize your system just use API integration - it is the most simple method. One of important factors to choose amoCRM for increasing number of your leads and amplification your sales managers is its attractive price. I could see in amoCRM the ease and simplicity in working process. I can manage my sales from all over the world by using mobile app. It is user-friendly and convenient. If you have lack of functionality, you can use widgets, located in the settings menu. "I recommend to all companies for the division sell and maintain the client database." efficiency of sales increased by 15% and total revenue by more than 20%. Just want to point out the simplicity and ease of use of the system. have been working there almost since the first day. And I like the head very convenient to manage Analytics and sales statistics. I recommend to all companies for the division sell and maintain the client database. I like that you can track the performance and leads of the sales department and that the crm is iOS friendly. The customer support is lacking for users in the US which is important when so many features are available. It is easy to implement and a value for the money. With Amo we have gained more organization and follow through with potential customers which has allowed us not miss leads. We can communicate with each other internally and with our customers current and potential all in one system. Saves time and money. "amoCRM - the best choice for us"
It has rich functionality, but it is quite simple and user-friendly. Interface is not overloaded, its really intuitive. A lot of convenient functions, such as e-mail integration, ability to use widgets, for example, to phone customers directly from amoCRM, api integration – all of it could simplify doing your business. You could customize your amoCRM system to fit your business processes. It doesn’t require programming skills, only your desire. If you met a trouble using amoCRM, just contact to their customer service. They will answer all your questions and help to solve problems. We didn't have any problems with tis product. "amoCRM is good for B2B"
amoCRM is a good system for small and middle size companies. Firstly, it has a very friendly user interface. Each button on the right place. There is no need to read the documentation to understand the system. Secondly, prepared business sales process and key metrics are built into the system. There is no need to wrestle with how to structure the sale. Everything has been thought out for you. Thirdly, managers like system! They are happy to start working in it. And finally, in amoCRM there are many ready-made integrations - the so-called widgets. Thus we can easily and without programming connect CRM system to our site by Wordpress. Mobile application does not install on my Nexus tablet. "Really easy CRM system for sales"
I’ve been using amoCRM for more than 3 years now, at first as a customer and now we are their integrator partner. The system is very simple and versatile at the same time. It looks like a "little" Salesforce. You can write your own modules to modify the interface. There is a comprehensive API that enables you to provide integrations with other systems. UI is really handy. I recommend it. The integrations with other products extend the power and usefulness the product. The Twilio integration is amazing. On some screens, it's hard to see the scrollbars or they are non-existent so some of the controls disappear below your view and are hard to get too. Contact and lead management. Activity and follow-up tracking, some automation. The key business driver is it allows me as a one-man sales team track a much larger pipeline than I could without the tool. 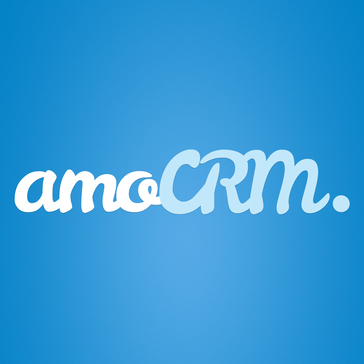 "amoCRM the best system for sales"
We are grateful for amoCRM that released a terrific product ! I'am not found dislike items. Beautiful and stability system. the API integration was key for our team. The functionality and interface is clean as well. try it! It will be worth it! "Simple interface with good functionality "
Love the simplicity of the system and how efficiently I can get through my day to day sales tasks. Also really like the email integration, widget partners and the custom fields. Some features are not as intuitive as I had expected. I've experienced some difficulty with exporting. But other than that, really great overall experience. * We monitor all amoCRM reviews to prevent fraudulent reviews and keep review quality high. We do not post reviews by company employees or direct competitors. Validated reviews require the user to submit a screenshot of the product containing their user ID, in order to verify a user is an actual user of the product. Hi there! Are you looking to implement a solution like amoCRM?